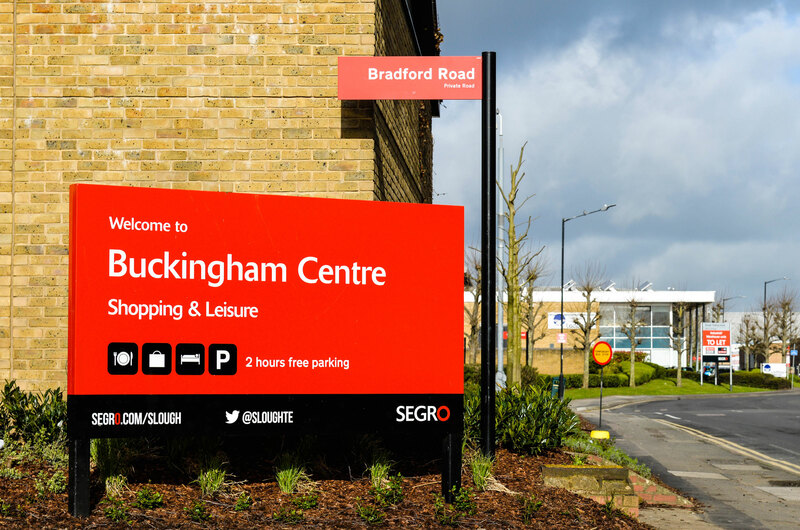 The Slough Trading Estate is Europe’s largest trading estate and as part of SEGRO’s signage refresh programme, a process of improvement and replacement of all 170 way-finding signs, large illuminated totem signs and new property signage was designed, manufactured and installed. 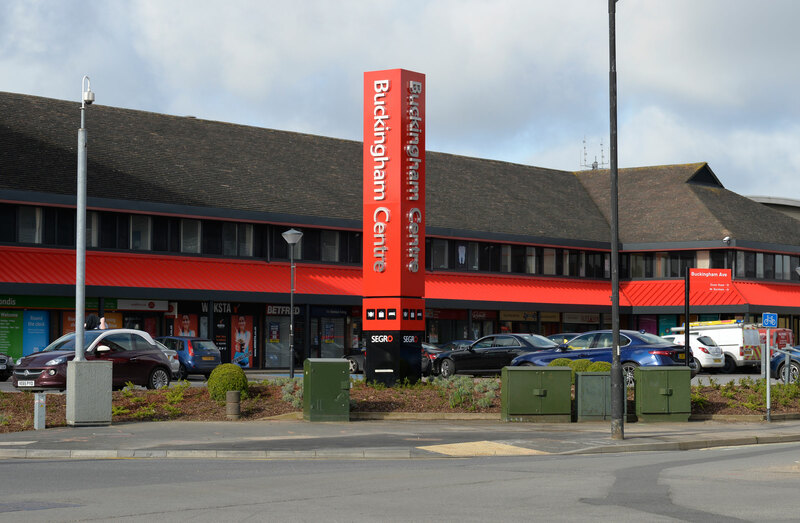 Octink’s experience in delivering an end to end exterior signage service was key to the success of the project as was our ability to apply and control the strict corporate guidelines relevant to this world class trading estate. 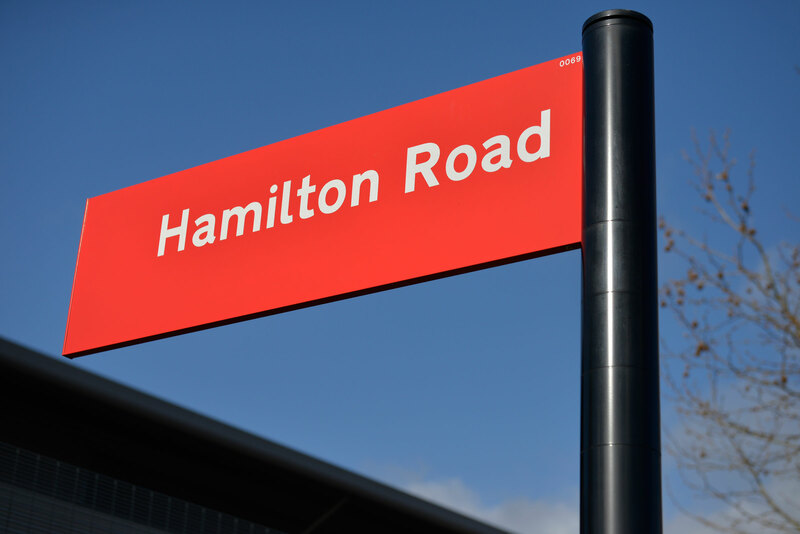 in managing the logistics around transportation, lifting and night working were essential requirements of both the client and existing tenants. Careful consideration of the groundworks was also required to ensure uncharted service ducts were not disturbed. 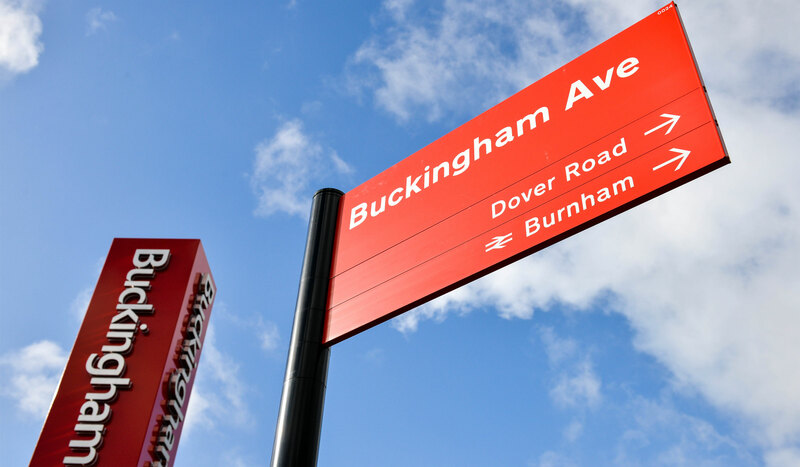 Completed on time and with minimum disruption to customers, the final result was outstanding; the signs were manufactured to a very high standard of finish and engineering integrity and are testament to our skills in managing complex signage projects.